There used to be a time when we had variety within the gaming industry. Not in the sense of genre, but the variety within those genres. For instance, looking back on football games, one can make the argument that they all accomplished the same thing (they are football games after all), but each one had a distinct feel, their own way to simulate the sport Americans flock too. They had star endorsements not only on their cover, but in their title, from John Elway to Emmit Smith. Now we have Madden, BCFX, and Backbreaker, this despite one of the longest console generations we’ve ever experienced. Of course, you say that it happened because of EA, and their lockdown on the NFL license. You would have a point. What about platformers then? The only titles we even “allow” at retail anymore are Mario, Sonic, and Kirby titles. Everything else is instantly looked down upon, as if a game like Bionic Commando Rearmed isn’t “good enough” for a retail release. Companies don’t take the chances they used to on weird characters like Skunky Punk or Rocky Rodent, off-shoots of Sonic the Hedgehog that regardless of quality, undoubtedly showed consumer interest to spur on the creation of Crash Bandicoot and Spyro. If anything, we’re seeking to recapture those days with titles like Sonic 4, a title that looks awfully similar to any of the early Sonic titles. Say what you will for the Genesis Sonics, but you can see an evolution from Sonic the Hedgehog to Sonic and Knuckles. The visual design philosophy faded a bit, the stages turning warmer and harsher without losing their charm. 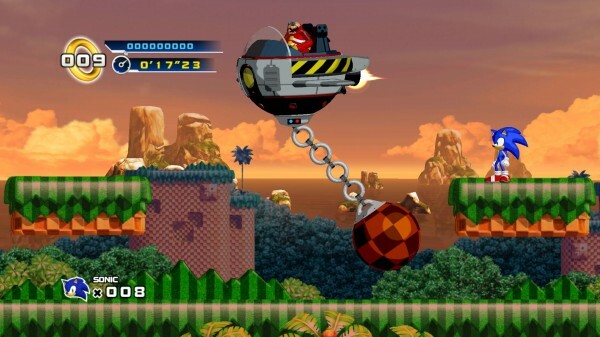 Sonic 4 is a copy of the original, choosing a familiar base for its backdrops to play on nostalgia, not originality. That’s another reason why the Whomp ‘Ems of the world are important. Even if the ideas implemented in that enjoyable Indian NES platformer fail to work within its own environment, maybe they’ll work somewhere else, like a Sonic the Hedgehog. Suddenly, Sonic is fresh again. Those forgotten gems (and disasters) may not inspire gameplay confidence, but they inspire ideas. That’s where this current crop of games feel lost, designed not to be a quick success before moving on, but with sequels already in mind. The first Assassin’s Creed feels like more of a beta now, the enhanced features of its sequel eye-opening and creating excitement as previews begin to hype them. Smart business or not, from the consumer perspective, it’s tiring. We need the Play Action Footballs, Super High Impacts, and the NFL Quarterback Clubs that spurred on creativity in their own way. We need something to kick-start the idea that purchasing something from a store shelf, not a digital download, is okay when you’ve never heard of it. Telling companies that something new isn’t fun or worth trying is getting us nowhere.